It is mint in box and unused. This version has a blue chest and head. The box is dinged up on the back right side. The rest of the box is in excellent condition. Even though this is not original, these KOs are highly collectible. 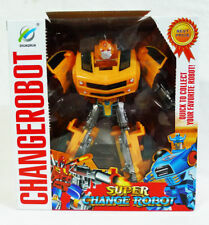 Up for sale is this Super Change Robot fourth generation transforming sports car toy. Each transforms to dynamic robot and back. You can notice the many photos. CREATE THE COLLECTION. works with you to resolve any issues. if there are any concerns. 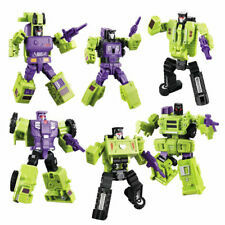 Devastator(6 In 1) Stand Height is About42CM (6pcs/sets). Material Made By ABS PVC. HookModel Size Is 20CM 9cm 7CM. We will always do our best to resolve any problems. 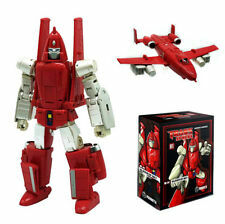 Master Made SDMT-01 Q Megatron Soundwave Starscream Set of 6,In stock! Size: 16cm. all accessory complete. condition: new in box. Item Description Brand:Weijiang Material: PVC & ABS Does not ship to Gibraltar,Peru,Bolivia,Ecuador,Czech Republic, Slovenia,The United Arab Emirates,Romanian,Serbia,Colombia, Chile,EI Salvador, South Africa, etc and other remote areas. Hong Kong Post / EC-Ship Shipping Time Line. We will always do our best to resolve any problems. 100%NEW (NEW IN BOX). Collectors item. 100%High Quality Reissue Edition. 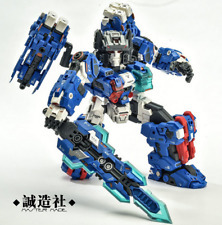 100% Transformable. 27cm after combination(Approx:10.62in). Version: high quality Reissue. all accessory and sticker complete. Please carefully read and consider before buying Dasin (GT) model 6 inch action figure anime Slam Dunk Akagi Takenori This price only one Akagi Takenori (winter cloth) Height about 18cm Brand: Dasin Condition: 100% Original, Brand new, Material: Plastic . Size: about 21cm. Fitted big gun 1. If you are very concerned about the box, it is best not to buy here. Color: as shown. This is great for children and collectors. Get it now! Version: Made in China, Chinese version. Ok here it is! UPC Does not apply. Material PLASTIC. Size: 24cm. Color: as shown. This is great for children and collectors. Get it now! If you are very concerned about the box, it is best not to buy here. Dart Gun 13,5 cm. Super Power Rangers. Size Combiner at Approx. 27 CM High, Small robot at Approx. 11 CM hight. Peace of Mind to buy from us. This Product is Obtained From WeiJiang Authorized Dealer in China. We are always grateful for your cooperation. Type: PP - 01. We will respond within 24-48 hours, in most cases sooner. 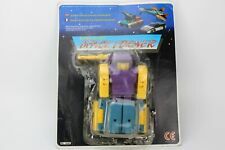 Imitation copy by Chinese Toy Factory. Note: Children should be warning in adult care use, do not put toys, thrown each other. Size: 15cm. condition: new in box.